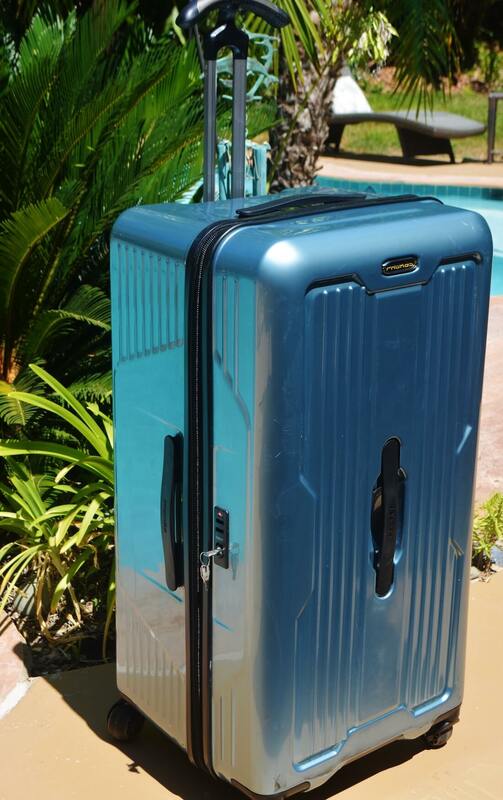 With a metallic blue hard shell exterior, 4 spinner wheels and a TSP lockable security feature, Traveler’s Choice PROKAS Ultimax Hardside Trunk Spinner is a great option to satisfy a large luggage requirement for vacationers, globetrotters and longer-stay business travelers. PROKAS Trunk Spinner’s recognizable trunk shape and sharp metallic blue color makes it easy to spot on the luggage carousel. This feature was extremely beneficial when picking up our luggage from the large cruise ship luggage staging area at the end of our Alaskan cruise. The PROKAS Trunk Spinner weighs in at 10.6 pounds when empty. This suitcase is not lightweight, but its sturdy construction and deep interior space allows for almost 40 pounds of clothing and personal items. 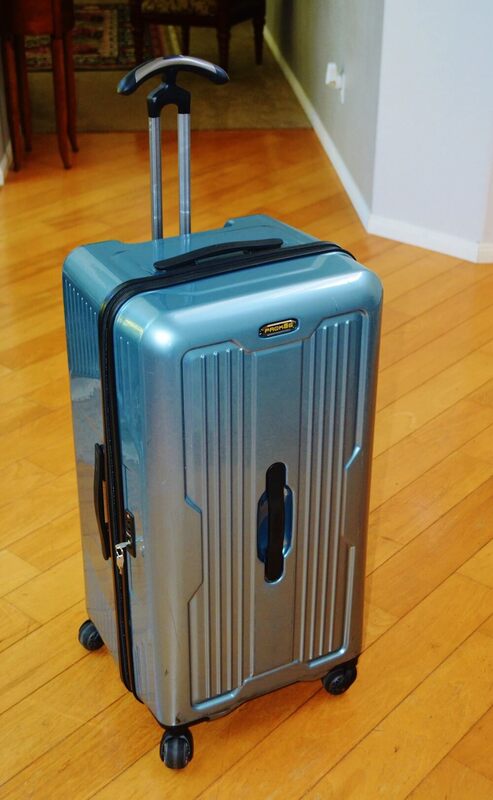 The PROKAS Trunk Spinner is a hard shell suitcase made of polycarbonate. I have owned hard shell suitcases in the past and more than once have had to return them after the first use, due to cracking or denting of the shell. I now typically only select hard shell suitcases with reinforced corners. 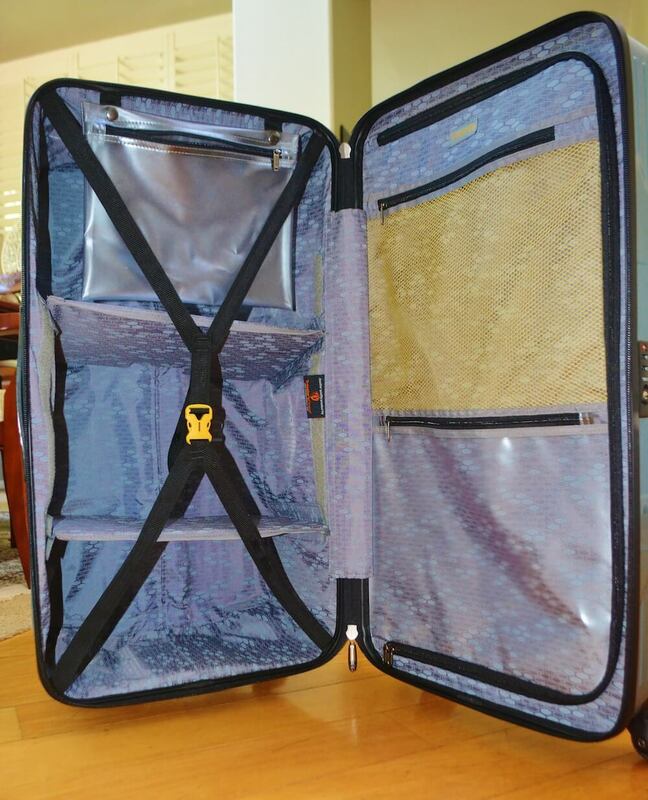 The PROKAS Trunk Spinner does not have this feature, but its hard shell appears more flexible than others and has proven very capable of absorbing airline punishment without cracking or denting under some arduous conditions. The PROKAS’s telescoping T-Cruiser handle is robust enough to maneuver the trunk and protracts and retracts smoothly with little effort. However, since this 30 inch trunk is already 32 inches tall on wheels, the handle only protracts about 12 inches – about two inches less than the height of most standard sized 25 inch luggage handles. PROKAS’s Cyclone Spherical wheel system consists of four wide singular track wheels that pivot easily and function smoothly. On tile floors I was able to maneuver the trunk effortlessly. While double wheels on all four corners seem to provide the best maneuverability with most pieces of luggage, one bellman marveled at how easily the PROKAS glided across the floor. Only on rare instances with some airport carpeting and stacked bags did I encounter any minor issues with the wheels. Overall I was quite pleased. The top and side handles are rubberized and a little tight, making them difficult to grasp on the run – but they may stretch or loosen some after continued use. 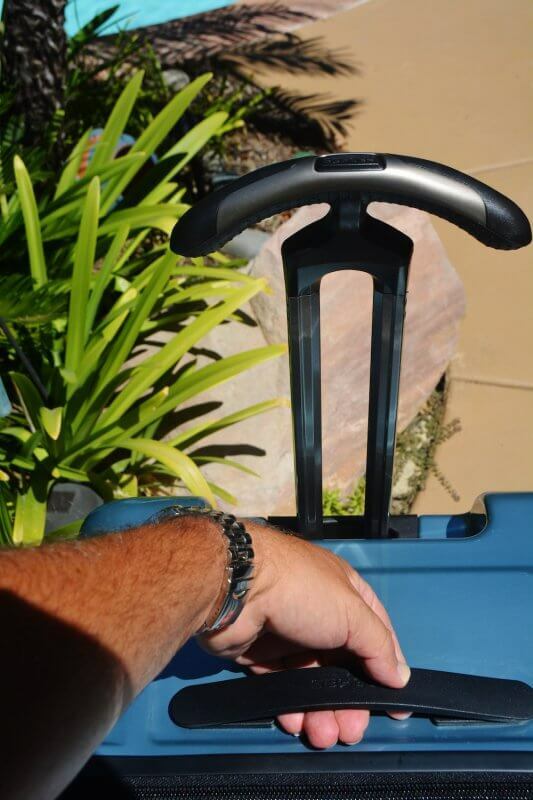 The trunk bottom has a hand hold ledge that makes heavy lifting easier than expected. With its trunk configuration, the PROKAS has a singular zipper and lacks any expansion capability. 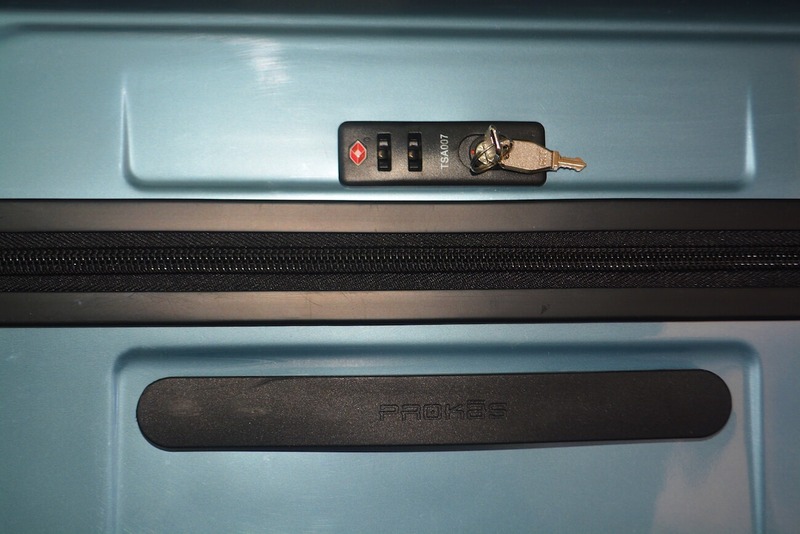 Main compartment of the PROKAS Trunk Spinner is deep with two Velcro adjustable/removable dividers that allow the traveler to partition the compartment into two or three sections of variable sizes to suit specific needs. The main compartment also features a removable large, heavy vinyl interior pocket for securing liquid toiletries and an elastic strap for cinching down your clothes or gear. A zippered partition separates the deeper trunk section from the five inch deep lid. The partition provides two compartments – one mesh and one heavy vinyl for small items like socks, underclothes and toiletries. Because of this partition, the trunk lid does not require any straps for securing items. I was very impressed with the versatility and construction of the PROKAS and there is little to criticize with this piece of luggage. As previously stated, the rubberized handles are tight and difficult to grasp when trying to snag the PROKAS from the luggage carousel. The narrow but deep trunk shape is not conducive for packing a suit or formal dress. With its size, depth and weight, it can be very easy to exceed the fifty pound limit for most checked baggage. More than once I have exceeded the weight while still having room inside the trunk. Retailing around $400, the PROKAS does not come cheap, however it can frequently be found on sale for $200. 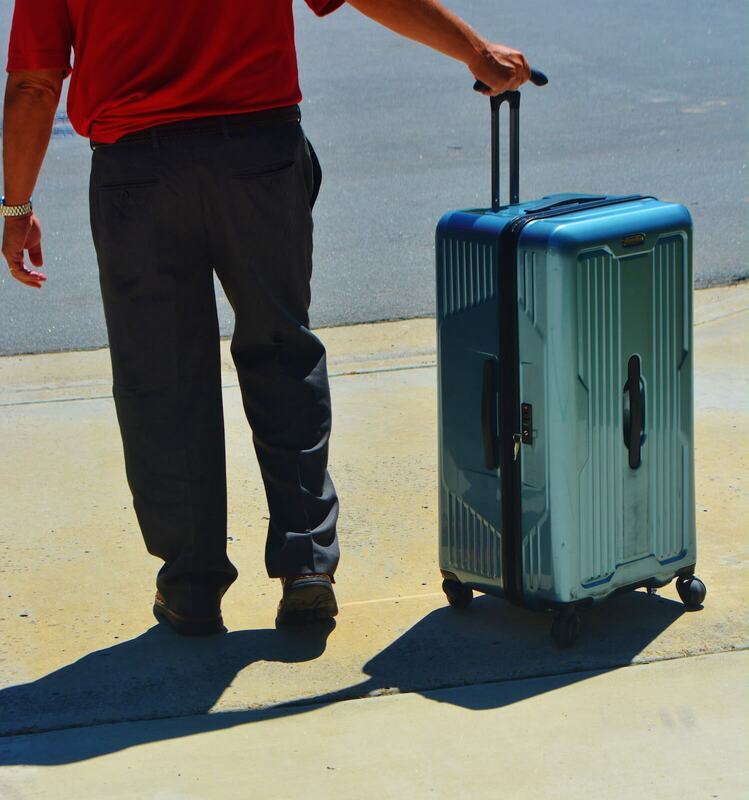 The PROKAS Trunk Spinner blends sturdy design and attractive handling features into a clever package that should more than satisfy your large luggage needs – whether flying or taking a long road trip. This spinner trunk is pricy, but when put into use, it delivers big time. On my first trip, I received repeated positive comments from luggage handlers, shuttle drivers and bellmen alike. The PROKAS Traveler’s Choice luggage was provided for this review. As always, this PROKAS luggage review contains only the honest views and opinions of the reviewer. Noreen L Kompanik is a registered nurse and published freelance travel writer and photographer based in San Diego, California. Her articles include inspirational writing, sustainable, healthy living, family travel, history, wine, and food. She maintains a Facebook page where readers can find her published articles. Best luggage I’ve ever owned. And it’s been on 10 planes so far. Abused and overstuffed. Can’t recommend this luggage more. Hi Katy – Thanks for sharing! Yes, I agree it’s a pretty durable suitcase! 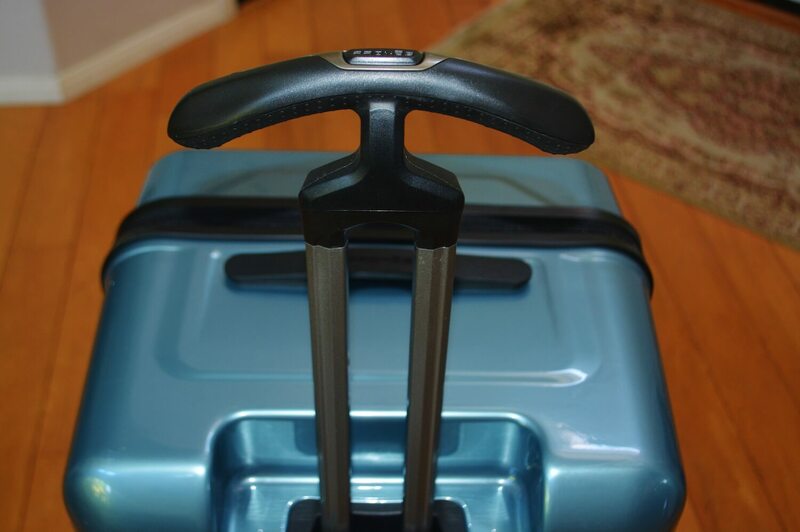 What an awesome article about Prokas luggage reviews i got lots of information about luggage. Also learnt about the luggage materials thanks guys for sharing informative article with us.